Forgetting screens, thickness, weight, and other issues that can generate long debates, what is indisputable is that the major limitation of the current smartphones is the battery. The terminals improve with new features, more power, better connectivity and battery ...? The autonomy of the terminals remains virtually generation after generation. 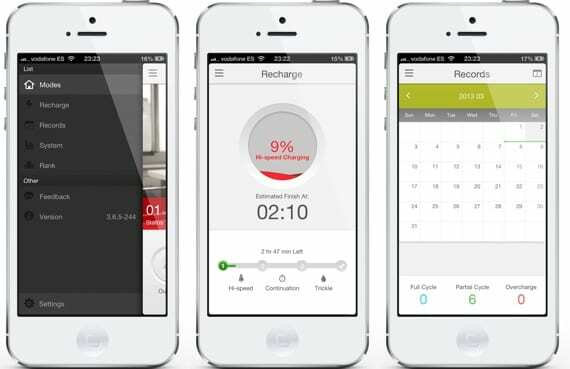 Without waiting miracles BatteryDoctorPro help you get your battery a little more of himself, and does so for free, so do not lose anything by testing. Cydia must write their full name and no spaces, and click on search, the name begins with Chinese characters, but look at the images that lead the article and find it easily. Except in the latter mode, the other two are configurable. Select what you want to enable and disable functions in each of them, so if you're at home or work with WiFi, 3G and disable bluetooth, put the brightness lower and turn off location services. Or if you're on the street, off the WiFi and Bluetooth enabled for handsfree car, and keep the data and 3G enabled, along with location services. Any combination is valid. In order to change so you must click on the battery icon on the status bar and click on the profile, you will select the content you want. 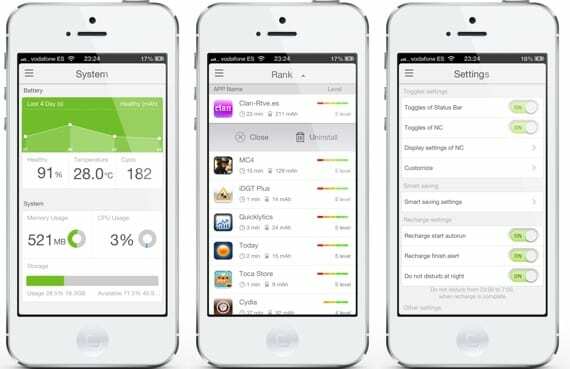 It also allows us to manually activate your iPhone, like SBSettings, and close all background applications by clicking on the percentage of memory that appears to the right. Just below we have the multitasking bar that supports Auxo . It also has widgets for notification center, with the same functions as we mentioned before. Supports LockInfo 5 and IntelliscreenX. With this application installed, when we load our device will indicate the percentage and time remaining to a full charge on the lock screen. The application has these features as most significant, but does not stop at that. Because it has many other options. 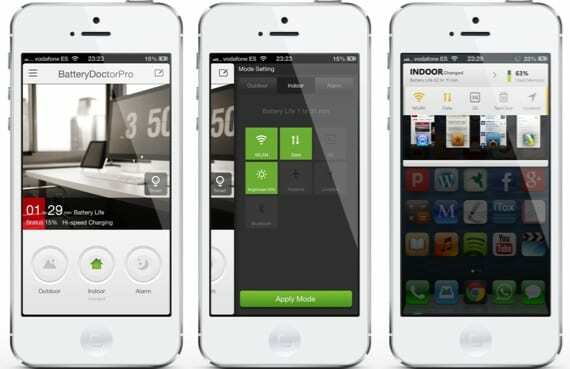 If in the main window click on the upper left or right slip we see the main menu of the application, from which we can access other menu options like charging (Recharge). It gives us information about the remaining time and also helps us to perform a complete cycle, recommended from time to time to look after the battery. The Record menu (Records) provides the historical ups and complete cycles we have made for how we are caring battery. Standby: You can change the background applications close automatically after a few minutes with the iPhone at rest (Enabled auto kill background), and you can do that after several minutes, turn off the 3G (locked after Enabled 2G), which enabled to as unlock the device. Sleep: airplane mode to program the device to be without any radio on between the hours you've set. By unlocking automatically switches to mode you selected. Low Power: The mode is activated when the battery reaches the level you preset. Disable network connections except the phone, making calls and SMS will not be affected. 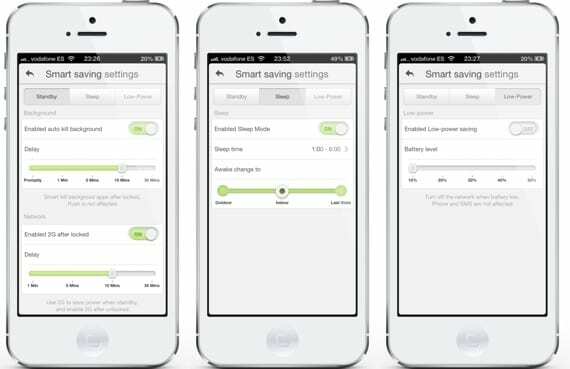 A full implementation of options can certainly help stretch a little more the battery life of your iPhone. Like I said, not a miracle, only turned on and off automatically functions depends on how you set up or not get better results. 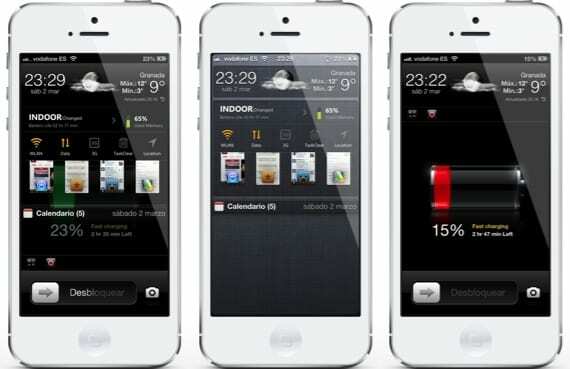 The article maintains the batteries BatteryDoctorPro your iPhone (Cydia) was originally published in News iPhone .